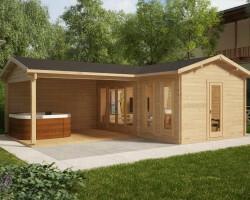 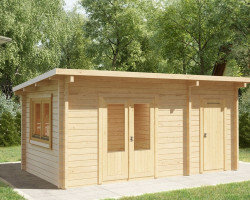 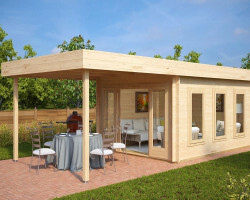 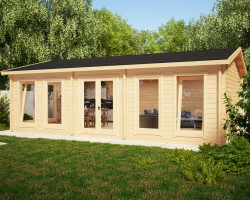 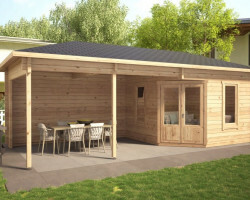 Whether you are looking for a small or large garden shed to store your tools and other garden equipment, a wooden garden room to entertain your guests, or an extra space for your hobbies and family leisure activities, we are sure that we have the right one for you in our great selection of log cabins for gardens. 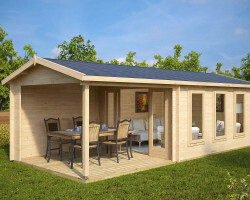 We offer small and large garden sheds and wooden summer houses that are easy to install and very affordable. 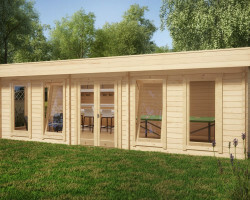 All our garden life log cabins are made of slow-grown Nordic spruce. 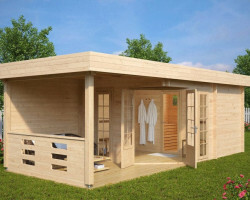 All details are supplied untreated. 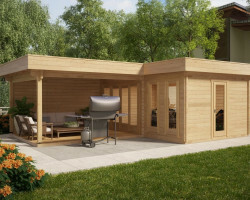 After easy installation, pick your favorite colours and add some decorations to create your very special place in the backyard. 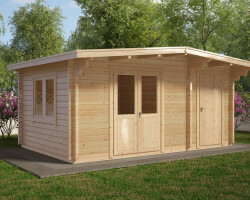 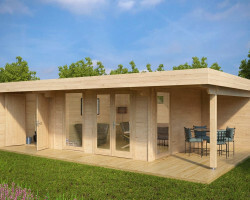 We have one of the best choices of high quality garden log cabins in the UK. 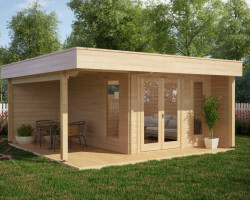 If you are looking for traditional summer garden buildings, you can be sure you will find many great options in our selection. 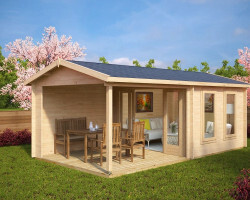 But if you are after something slightly different, check out our special choice in the Contemporary Garden Rooms section, especially if you are into buying a garden office shed or a hobby room with plenty of light. 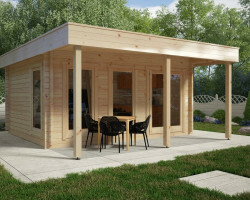 All garden buildings less than 2,5 meters (8’ 2’’) high can be placed as close as you want to a boundary (e.g., a fence line) without planning permission. 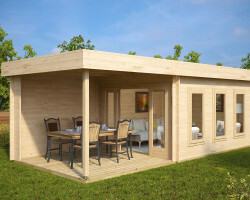 All garden buildings that are over 2,5 meters high, however, need to be placed over 2 meters away from any boundary. 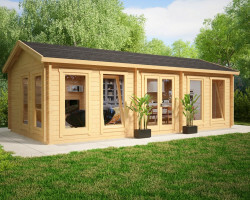 With taller buildings you end up with a lot of space behind them. If you are short of garden space, it makes sense to buy a log cabin under 2,5 meters high. 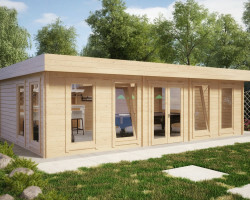 Any large log cabin with walls that are thin: (i.e., 20 to 28 mm thick) is not stable and durable. 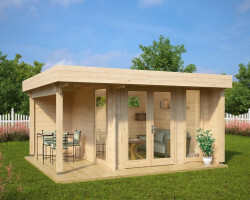 On the other hand, a small 6 m² wooden garden shed does not require 70 mm walls. 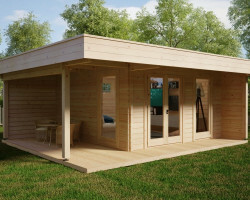 That is just wasting wood and money. 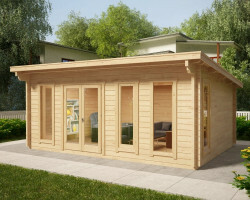 Hansa Garden summer house engineers calculate the best possible and most reasonable wall thickness for all our wooden garden buildings. 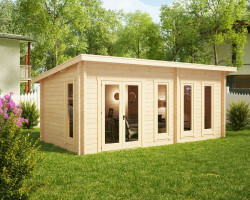 For the most popular, medium-sized garden summer houses and garden offices (8 to 20 m²), we use 40mm wall thickness or 44mm wall thickness. 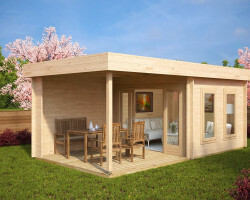 Big garden log cabins and garden sauna cabins usually come with 58 or 70-mm thick walls. 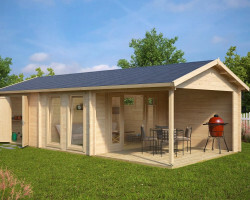 Special use garden log cabins such as: timber garages and wooden carports as well as garden sauna cabins and BBQ huts are easy to find in appropriate categories in our extensive collection.